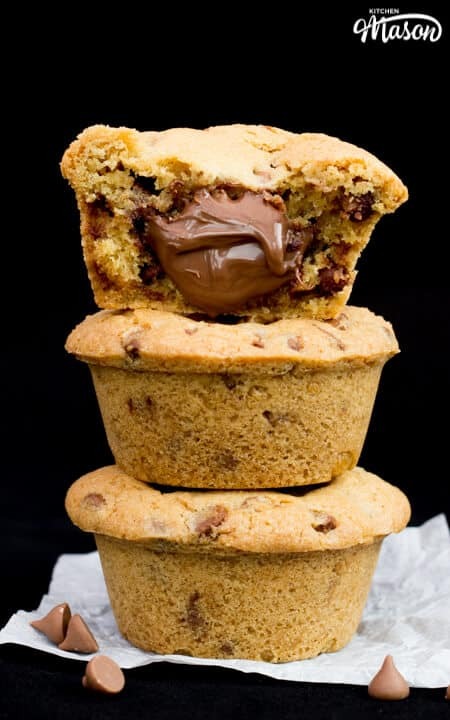 Nutella Lava Cookies. You know you’re going to make them. Just look at them! Imagine a big scoop of your favourite ice cream dripping down one of these oozing beauties. Yeah, I thought so! I personally think these would make an incredible dinner party dessert. Well , these and a batch of Nutella stuffed peanut butter cookies – which are just as epic! Firstly, line a small baking sheet with baking paper, then spoon 12 heaped tsp of Nutella onto it. I find it easiest to use 2 teaspoons together to do this. Then place in the freezer for about 2 hours to harden. 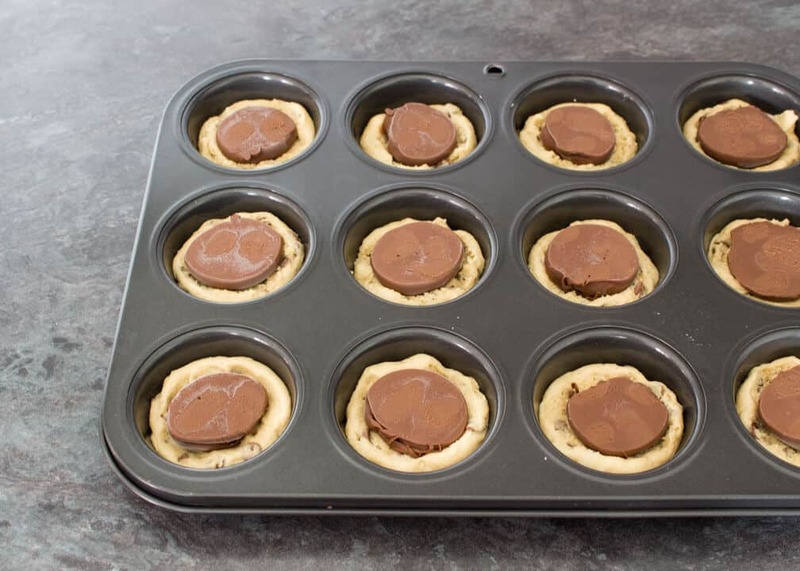 Once the Nutella is set, lightly grease the holes in the cupcake tin with a little butter and set to one side. Preheat your oven to 180°C/Fan 170°C.. 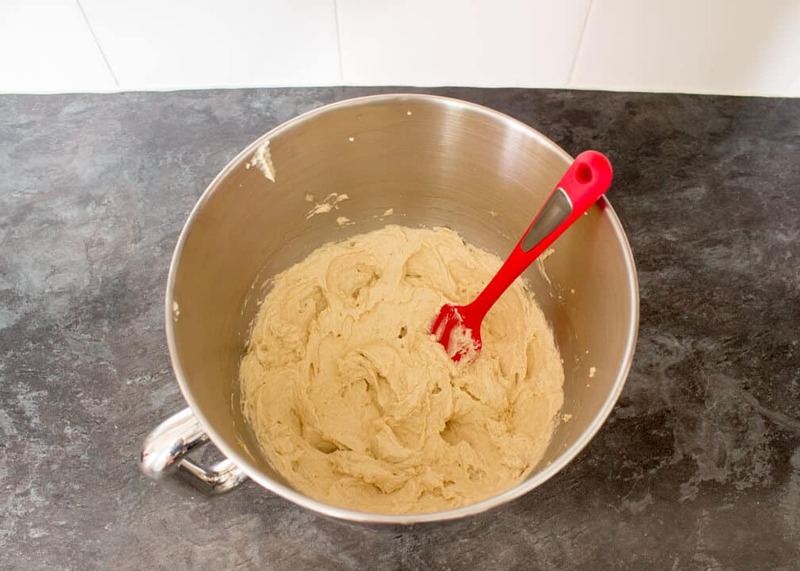 Either in an electric stand mixer or a large bowl with an electric hand whisk, cream together the butter and both sugars until very light and fluffy. At least 5 minutes. Next, add the egg & the vanilla extract and beat again until smooth. Sift together the flour, bicarbonate of soda & the salt. 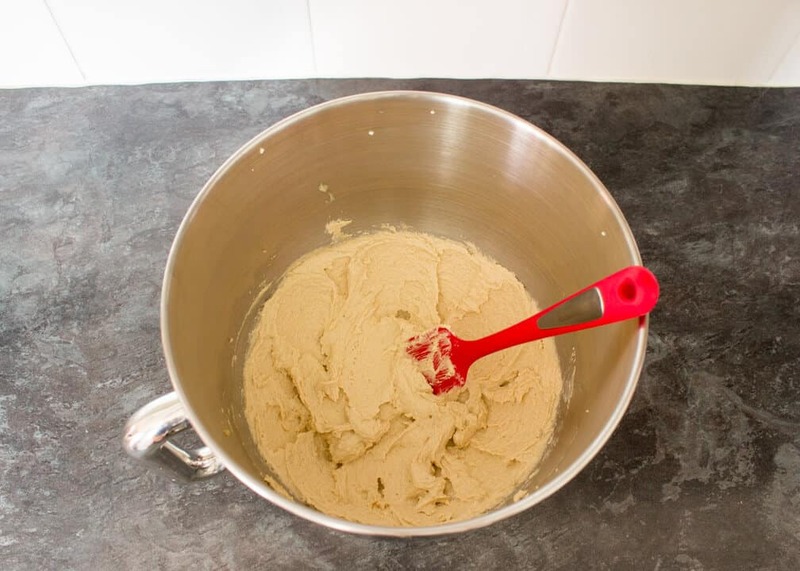 Then, in thirds, add this to the dough & mix until just combined each time. 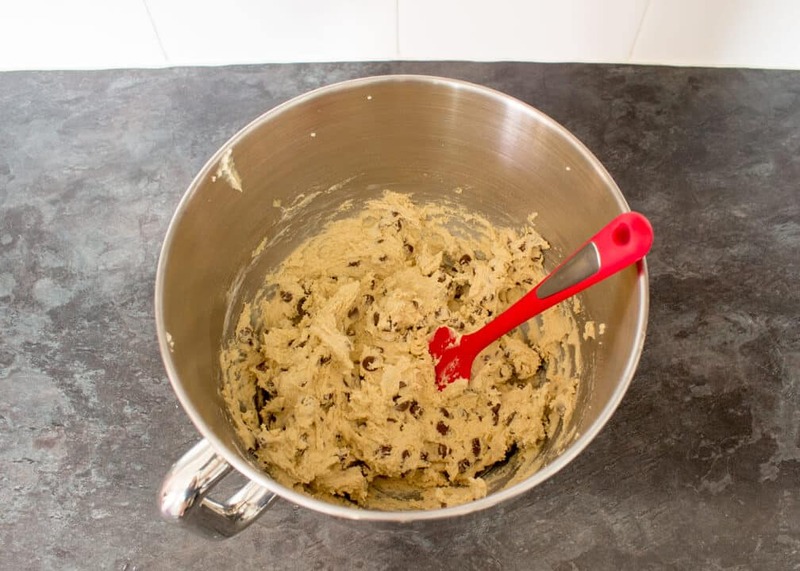 Finally add in the chocolate chips and mix a little until evenly dispersed throughout the dough. Then take tablespoon sized balls of dough and press into the bottom of each hole. 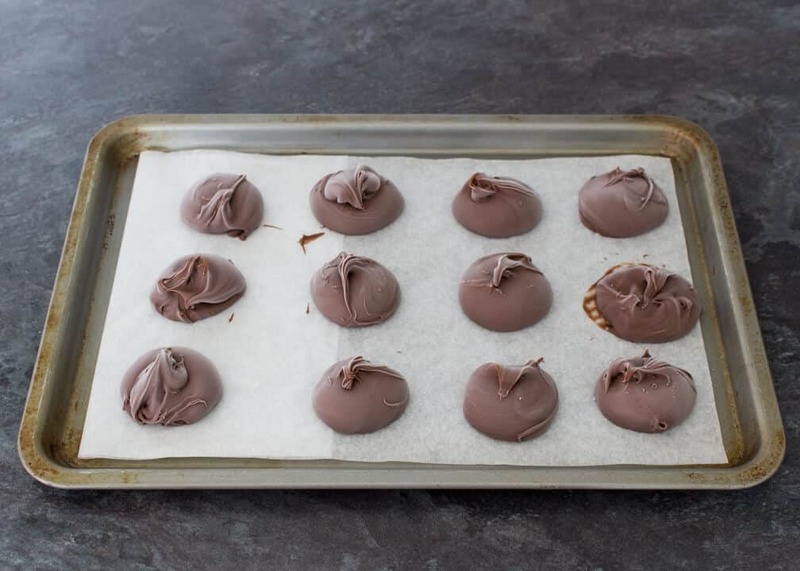 Remove the Nutella blobs from the freezer and press one into each piece of dough. 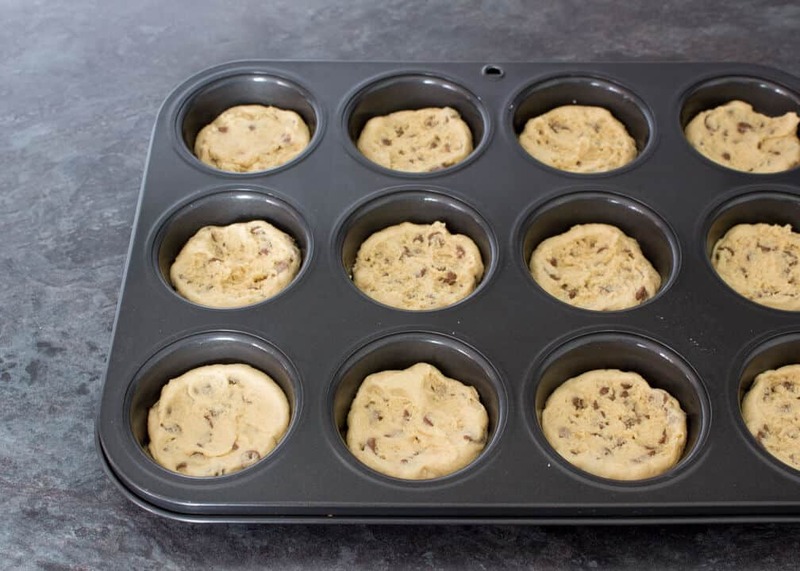 Take more tablespoons of dough, flatten them into a discs in your hand, then press them onto the surface of each one. Make sure to completely cover the Nutella down the sides as well as on top. 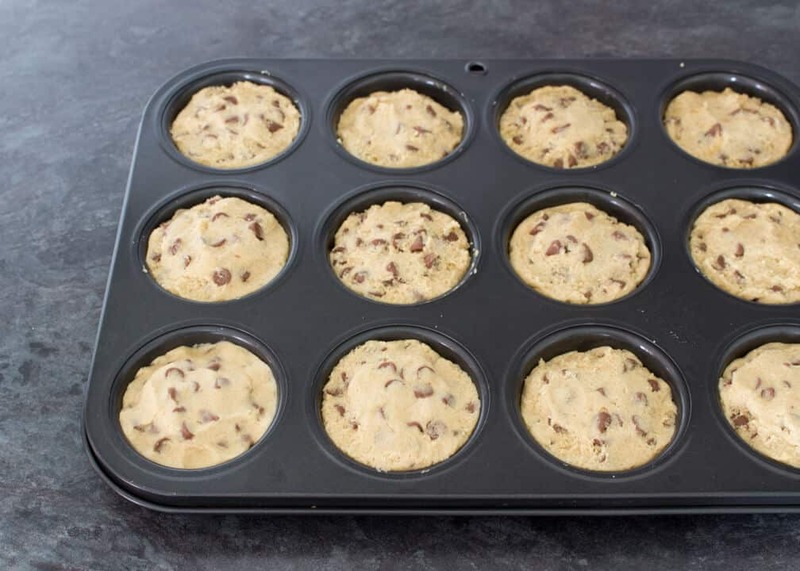 Bake in the preheated oven for 15 – 20 minutes until beautifully golden on top. If you have hot spots in your oven, you may want to turn the tray around halfway through the cooking time for a more even bake. Allow to cool completely in the tin before attempting to remove. They should pop out quite easily if you give them a little twist then pull them out. Store in a metal container at room temperature (you may lose the crunch if you store in a plastic container.) These will last for 5 – 6 days. 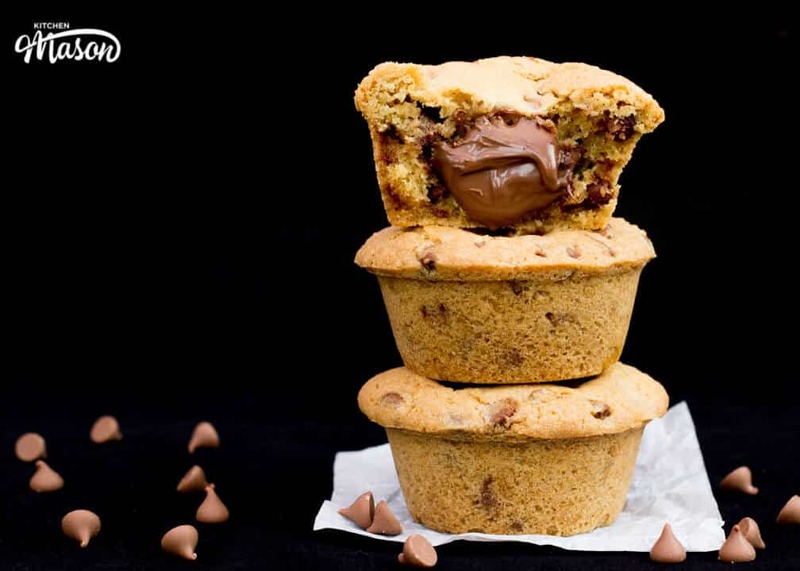 Seriously, these Nutella Lava Cookies are epic. Therefore you need to make them, like NOW! They’re such a pleasant change from a regular chocolate chip cookie. Don’t get me wrong, I love a good chocolate chip cookie, but stuff it with Nutella and plop a big dollop of vanilla ice cream on top? Probably the most amazing cookies in the world! Just made these and I can confirm that they taste as good as they look, my self restraint didn’t last long! Oh my this looks so yummy! I need to try this recipe out! My family and friends loved them!! Genious! !